UNIQUE Interactive FUN Inflatables, games, Amazing Races, Orienteering & Much more. 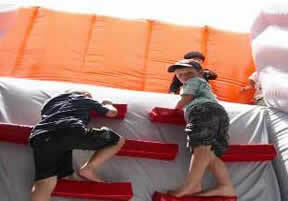 Total Committment to Delivery, Quality & Value Professional FUN & Safe Activities for ALL Ages. ALWAYS SETUP ON-TIME READY TO GO!! !